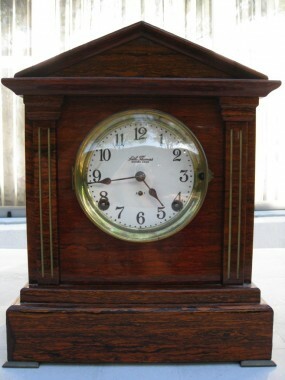 This unique clock is in perfect running order; it keeps time and is chiming beautifully. The wood case has been retouched in two areas a) front bottom left b) rear top right. Sonora clocks were made by Seth Thomas in the early 1900s. This clock has two complete movements inside the case. The movement closest to the dial keeps time and strike, The second movement further back runs the Westminster chimes. Sonora clocks are known for their majestic sound as the chime is played on bells and not rods. 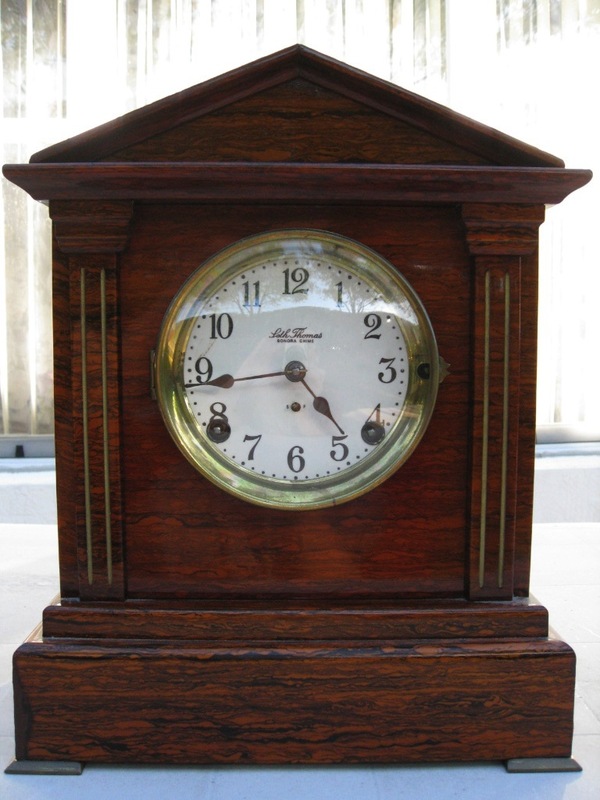 This clock also has renowned famous Seth Thomas patented adamantine finish which is the shiny clear coating over wood. USA Shipments Only. Sorry no international sales.